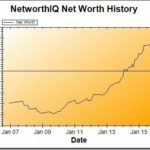 Even though it’s not good for my financial picture, net worth calculations are a lot more exciting when it’s unknown… will it go up, or will it go down? Up or down? What’s it gonna be February… up or down? 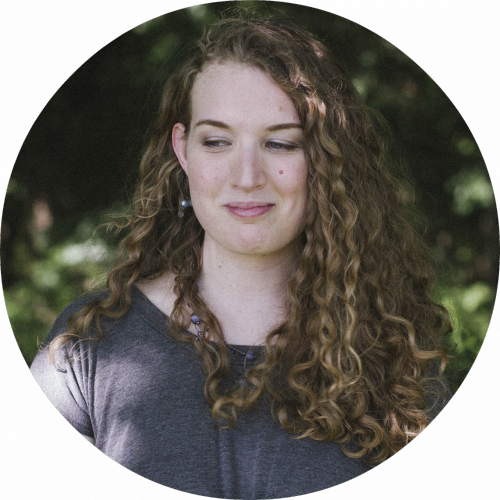 Taxes: My work as an independent contractor, a freelancer, and a business owner left me paying nearly all of my own taxes for 2009. Barely anything was withheld for me during the year. But despite my large tax bill, in some ways, it’s like I got a tax refund. Why? Because I put aside more than double the amount I actually needed to pay my tax bill — due to my own conservative estimates and things like the Making Work Pay tax credit. 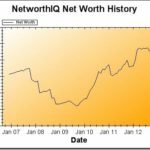 Retirement: In addition to throwing everything I could at my retirement account from my earning last month, I also threw my “tax refund” (see above) in there as well, which allowed me to nearly triple my retirement savings in February. Car Repair: The heating/air conditioning in my car went totally nutty last month. The heat decided it was only going to work if I’d left it full blast when I last turned off the car for an extended period of time. The diagnosis left me $450 poorer ($430 after coupon, actually). But both heat and air conditioning are important where I live, and I need my car in order to work. I took a portion of the payment out of my emergency fund and paid for the rest out of pocket from the month’s income. Wedding Spending: I used some of the money out of my “weddings” account to buy two bridesmaids dresses for two separate weddings I’ll be in. I need to keep contributing to this fund heavily for the travel costs associated with these two weddings. So really, my money moved around a whole lot during the month and settled in three places: my retirement fund, my tax bill, and the heating system in my car. 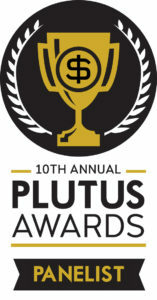 Additionally, I’m proud to announce that Poorer Than You has been nominated as a finalist in the 2009 Plutus Awards! You’ll find Poorer Than You under the nomination category “Best Personal Finance Blog for Teens or College Students.” The competition is both stiff and awesome — I highly suggest you check out all of the other finalists in this category, if you aren’t already a rabid reader of them: 20 Something Finance, Green Panda Treehouse, Money Under 30, and Studenomics. And of course, I hope you’ll take the time to vote! There are a ton of categories, ranging from personal finance blogs to awesome bank accounts and financial products. Do it — go vote! 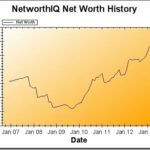 Do you have a graph that has any projections/goals and to where your net worth may be, 1 year, 5 years from now? I think that would be very interesting. 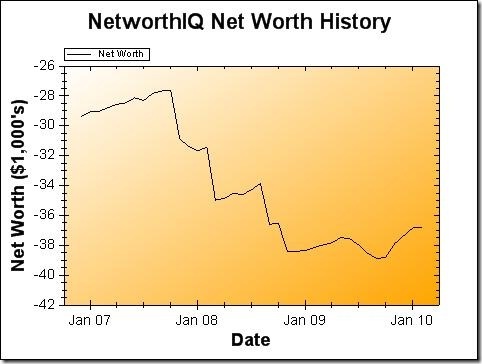 There are so many factors in determining your net worth that I can’t believe you did such a good job. Someone who thinks this much about their finances is sure to be successful in the future. Keep up the thorough work. Even though wedding is a one-time-expenses but it really dig your budget down.